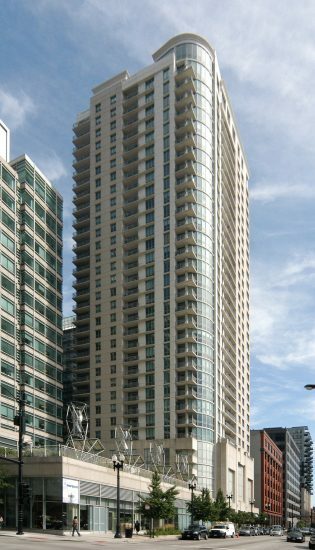 This 33-story high-rise is situated in the trendy West Loop neighborhood of Chicago and introduced cutting edge design, amenities, and desirable lifestyle features. Condominium design included floor-to-ceiling windows, entertaining open-concept kitchens, balconies, and spacious floor plan layouts. Amenities include a fitness center, party room with catering kitchen, and an outdoor garden terrace.